Now that both the Glo and Etisalat (9mobile) free browsing cheat has been blocked, I guess it's finally time we go back to the browsing cheats we were using. In one of my previous posts, I shared the 9mobile YouTube free browsing cheat which powers all apps. Now on this post, I will be sharing another alternative to that. The problem with this cheat is that it's not unlimited and it also require N150. This isn't a new cheat as most of us actually rocked it back then in 2016. As said at the beginning of this post, this is just going back to the previous cheat we were using before. load your 9mobile line with N150. Then dial *200*3*3*1*2# to subscribe to 9mobile smartpak plan (₦150 will be deducted from your sim). 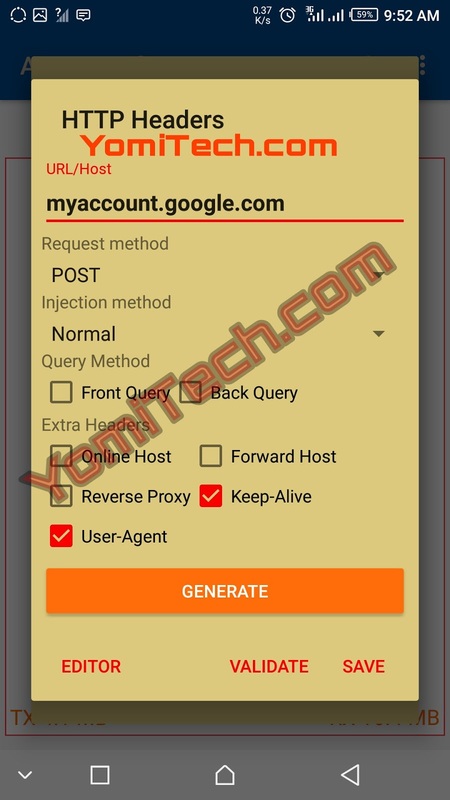 >> Download and install AnonyTun Vpn Mod from this LINK. >> Launch the app and click on Stealth Settings. >> Turn on Stealth Tunnel. >> Change Connection Protocol to HTTP. >> Connection Port to 8081. >> Skip other boxes and click on Generate. >> After that, just Save. >> Now tap on CONNECT and the app will establish connection in few seconds. NOTE: This tweak is not unlimited as it is capped at 600 to 700MB. You just have to do it manually because Etisalat doesn't let you check the data balance. Can it work with PC?? Please house is the 700mb for the full one week or daily use?